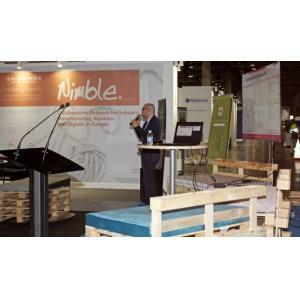 NIMBLE was present at the ENCAJA trade fair which took place on 26 – 28 February 2019 in Valencia. 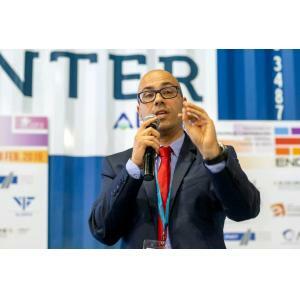 The ENCAJA fair is a professional event which aims at promoting the meeting between companies in terms of business, technology, and knowledge finding the balance between supply and demand. 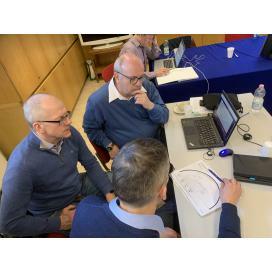 Main focus is on finding real and effective solutions to improve the storage, distribution and sales point of the companies, participating and establishing strategic alliances with other partners. 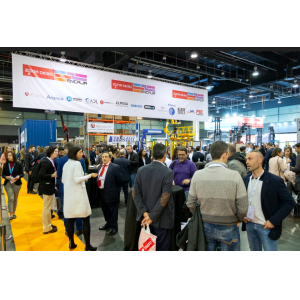 In this edition, ENCAJA received more than 6.500 companies from manufacturing al logistics sector. 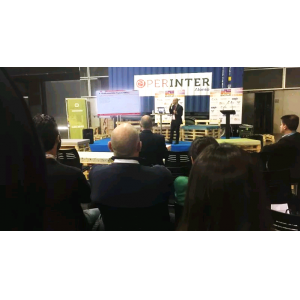 AIDIMME has supported NIMBLE inside the ENCAJA fair with the support of FEVAMA and MICUNA as main representative of NIMBLE furniture use case, presenting the benefits and functionalities of the platform and encouraged manufacturers attending the gathering to register and become early adopters. NIMBLE partners have maintained contacts with manufacturing companies from the furniture sector but also companies from sectors like shower trays, kitchen countertops, packaging, transport, or engineering. In addition, AIDIMME presented NIMBLE in a conference during the fair, conducted by Juan Del Agua. In this event, AIDIMME spoke about the purchasing process in a company, the different strategic approaches to combine agility and efficiency in the purchasing process; they noticed the advantages of working in a B2B platform like NIMBLE and encouraged the companies to register. AIDIMME’s conference at ENCAJA 2019.